As was stated above, data backup (albeit primitive data backup) is thousands of years old. One of humanity’s greatest advantages over many animals that would seemingly be higher on the food chain, is that our wit allows us to see patterns. We do this by recall. By also attempting to pass on the information that we’ve learned, we protect that information. Now, in doing so a lot of data got lost, and a lot is misrepresented or misinterpreted, but it can’t be denied that a lot of what we know about early humanity is from the information they left behind. As civilization developed, so did writing. From the glyphs painted and carved into stone walls in caves, people started to represent feelings and stories with drawings. Over time, characters began to represent the language the people of the time spoke. The only way to protect information against its demise was to copy it from originals, which many civilizations did. No better is this represented than in ancient Egypt. Scribes were the people that were tasked with copying over information. Since overwhelming portions of the population were illiterate, scribes held with great esteem, were looked on as part of the Pharaoh's court. The scribe’s job was to reproduce new papyrus from originals to preserve the information for posterity. Of course, we’re talking about a civilization that lasted three millennia, and went through plenty of major shifts of power, but like the humans that came before, what we know about this era of human history is largely by that which has been left behind and protected. Cave walls, masonry, papyrus, all were - in their own right - data systems. When people started putting works into books, great libraries began to pop up, providing the literate few the resources to learn about older civilizations, and therefore, the patterns that they had observed through history. A problem popped up. Since authors of works of antiquity had no rights, they didn’t really gain anything but notoriety from their work. The backup system of the day, the scribe, was the one that benefited, copying works--sometimes poorly--often deliberately changing the information to be in line with whatever political or religious situation they swore allegiance to. By the time the anno domini calendar started, literacy was improving substantially in places like Rome, leading to a great deal of invention and innovation. As those political and religious forces became more powerful throughout the first half of the first millennia A.D. books, and thus the information of great civilizations, thinkers, and leaders, were often destroyed for heresy. In the mid-15th century, German inventor Johannes Gutenberg developed the moveable-type printing press, which historians regard as one of the inventions that ushered in the modern period of human history. By being able to manufacture print-based manuscripts quickly, it reduced the need for corruptible scribes and provided people of any kind to mass produce printed material. For the works that had survived the Reformation, and for the preservation of human antiquity, this was extraordinarily important. More people were learning how to read, write, and get ideas out, creating a burgeoning middle class as where there were just elites and peasants up until that point. The spread of information, and the retention of it for posterity, brought with it more invention and more innovation, and subversion to the political and religious doctrines that had ruled much of the western world for centuries. The industrial revolution brought with it new technologies in data. Punched card technology was the very first method used to track and store a lot of data, providing simpler and faster ways to find consensus. The idea of consensus itself was something that hadn’t mattered much under feudal rule, but as civilization modernized, so did the need for data. Early in the 19th century punched card technology was developed in France to control textile looms. Textile workers could enter a piece of paper and the mill would read the paper with the use of strings to automatically create a pattern. Later in the century, Herman Hollerith invented a method of recording data on a medium that could be read by machine. This punched card technology was used to control machines (think the automatic piano), rather than record or read data. The 1890 U.S. census was the first time that this technology was used on a large scale, giving census workers the ability to use machines to accurately count figures that would take humans much longer to count. Ironically, the 1890 census information, where this great new technology was being used, was destroyed by fire twenty years later. This led to the establishment of one of the biggest data backups in the world with the formation of the U.S. National Archives. Punch card technology gained traction quickly after Hollerith established the Tabulating Machine Company. The company would later merge with other companies to form International Business Machines (IBM). IBM would establish this technology as the most utilized technology for data storage, data entry, and processing. The technology would be used in voting machines, time clocks and computer programming for decades. With the applications for this technology growing it ran into problems. Where would they store all the cards? This led to the development of magnetic tape, a breakthrough that would revolutionize backup technology. When IBM introduced tape technology in the early 1950s, there were millions of punch cards. Each roll of tape could hold as much data as 10,000 punch cards. This consolidation of space not only made tape the predominant way people and organizations stored and read information, it also reduced the cost of storage and processing. It also was the first time that small organizations started caring about their data, and so in the early 1960s, companies started using tape to back up all their computer data. Since computing as we know it was just starting to take a foothold in business (it had not yet been developed for home use), a tape drive could conceivably be used to keep a whole organization’s electronic data on a single spool of tape. There are companies today that still rely on a tape backup. While the technology is now seen as slightly antiquated, it is a reliable form of data storage and backup. Nowadays, the problems with using tape as the primary backup solution aren't so much in the tape’s ineffectiveness, it’s that the other options are better. With tape you have to run your backups when no one is using the systems, or it results in downtime, so for organizations that run 24 hours a day, a backup is not manageable. Soon after the tape drive was established, IBM created the first hard drive (HDD). While wildly expensive when it was first developed, the hard disk technology has developed quickly; and, when the personal computer started really flying off the shelf, all PCs were built with an onboard hard disk, providing easy storage and access to stored files. Once the hard disk was moved out of the computer, people started using them to back up data. This is why tape backup remained the number one-way companies backed up their data into the 1990s. It was cheaper than hard drives and the HDD didn’t have a dedicated way to hook up to the other systems. As the years went on and the prices dropped, hard drive capacity increased, and USB was developed, the HDD superseded tape as the top data backup option out there. Everything about it is faster and more receptive. You can use specially-created software to set when you want to run a backup. You can also automate the process to run every so often so that if changes are being made, you won’t lose anything. Besides the hard disk there are a myriad of disk drives that can be used to store data. Over the years there have been all types of floppy drives, Zip drives, and now flash drives. Each works essentially the same way the hard disk does, but the capabilities are extremely limited due to the small amount of space each has. Essentially, it’s a lot like using the punch card method with the amount of data a lot of organizations have to back up today. Cloud technology has been around for some time. 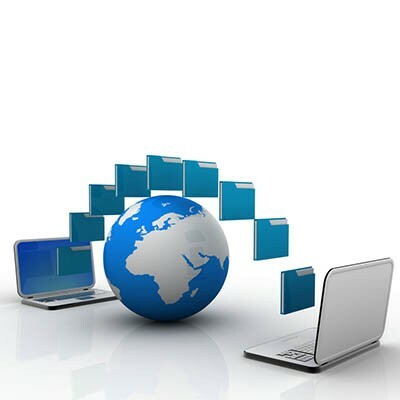 It is basically computing storage and resources that are delivered through a broadband Internet connection. When cloud storage started to take off, people were skeptical about the security of the data once it was stored online. This led to some organizations building their own cloud storage server or collocating their files to a facility where they would be in control of the management of the server. If you can look at it as a benefit that you don’t have to take on the expense and time of managing the hardware in which you store your data, the cloud is an attractive option. However, if you have a lot of data, costs can add up pretty quickly. While cloud solutions are typically billed per month, if you dedicate your file storage to the cloud exclusively, you may find the costs a little hard to manage. Finally we get to the créme de la créme of data backup and recovery solutions, the BDR. BDR stands for backup and disaster recovery. Basically, it’s a two-in-one solution that uses a network attached storage (NAS) device to back up your data to a hard disk and then simultaneously sends the backed up data to an offsite data center. By utilizing the hard drive and the cloud, the BDR provides multiple copies of your data, and options to restore quickly when called upon. It can also be used as a temporary server if you suffer from hardware failure. 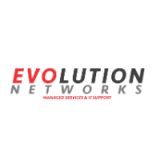 At Evolution Networks, we not only know just how important it is to protect your data, we also love to teach people about our work. For more information about the BDR, or to talk to one of our professional consultants about developing a backup strategy that fits your business, call us today at 954-866-1600.